Family Christmas concert to celebrate Once Upon A Christmas! 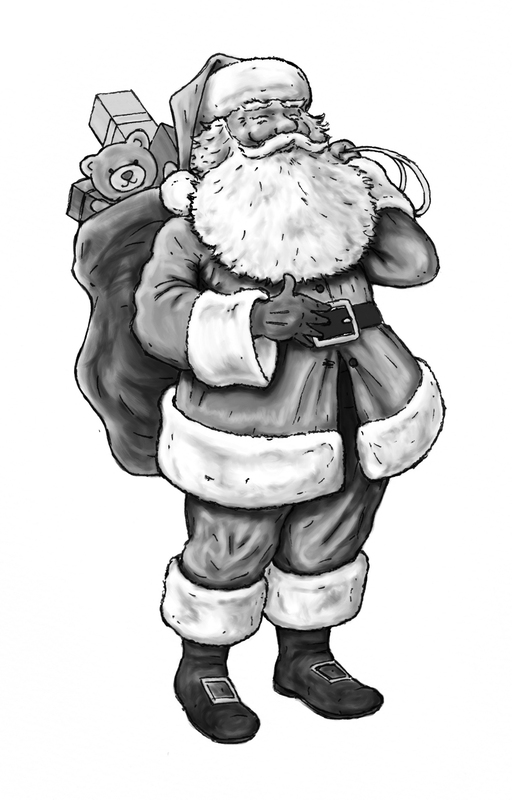 A fabulous family Christmas Concert Afternoon, with stories, poetry readings, prizes, cakes, and carols! 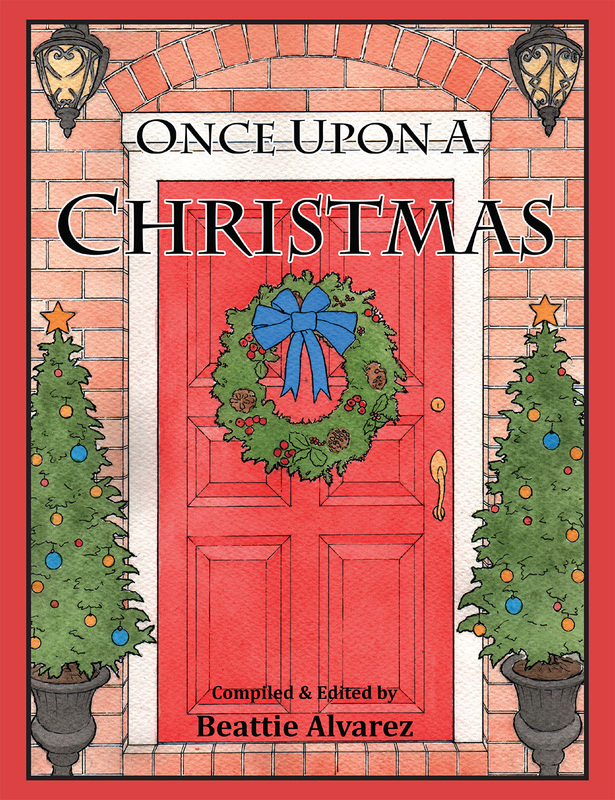 Share in the celebration of the new book Once Upon a Christmas, a magical anthology of short stories, poetry, illustrations and memoirs. Come and meet the fabulous contributors, including Ursula Dubosarsky, Juliet Marillier, Duncan Ball, Pamela Freeman, Kate Forsyth, Kim Gamble, Anne Bell, Lisa Stewart, Libby Hathorn, Nette Hilton, Vashti Farrer, and many many more fantastic authors and illustrators! Two of our titles in best books of 2014! We are very proud of the fact that two of our titles, Kate Forsyth and Fiona McDonald’s Two Selkie Stories from Scotland, and Ursula Dubosarsky and David Allan’s Two Tales of Twins from Ancient Greece and Rome, have been included in Good Reading Magazine’s list of best books of 2014! 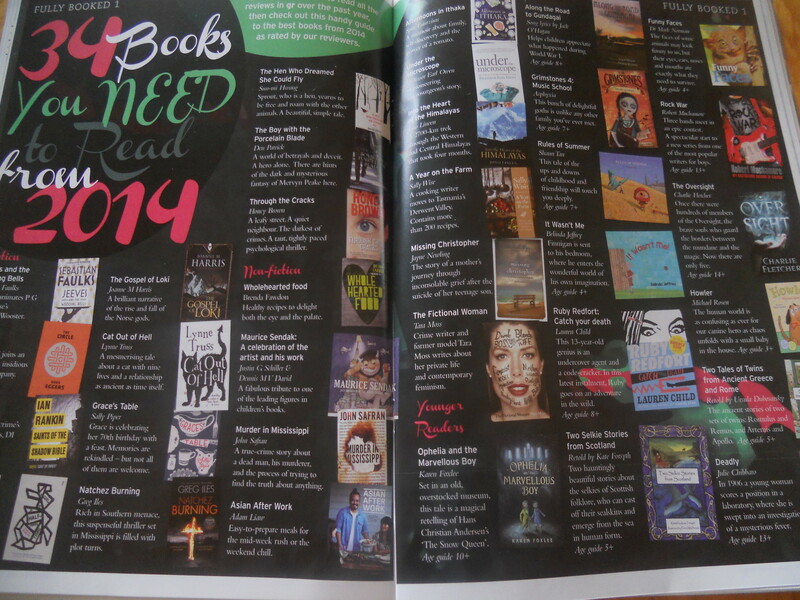 As there are only 34 titles in this list, we are doubly proud of this achievement! Congratulations to our wonderful authors, illustrators and designers! 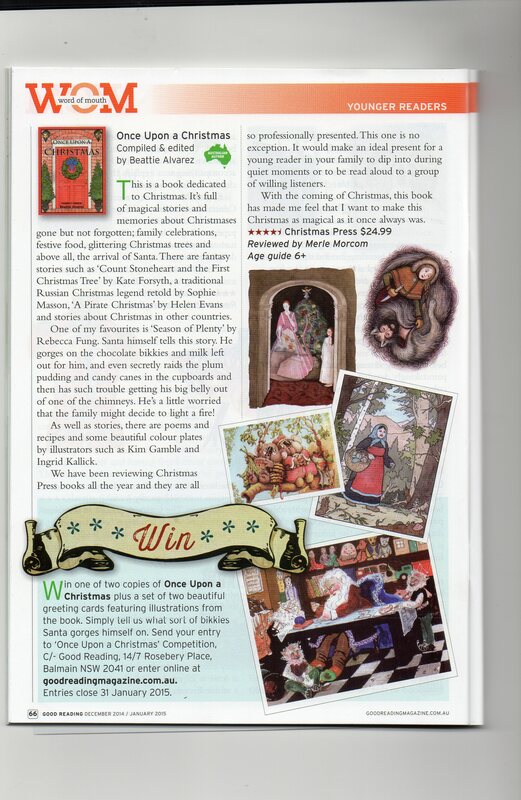 In the Good Reading Magazine, December issue. Local New England launch of Once Upon A Christmas coming up! A fabulous Christmas party, celebrating the release of the gorgeous anthology, Once Upon A Christmas, edited and compiled by Beattie Alvarez, and featuring many of Australia’s best-loved children’s authors and illustrators, as well as emerging new talent and special overseas guests. Book signings! Prizes! Yummy food! Meet authors and illustrators! And stock up on fantastic Christmas presents! No bookings needed. Free event. Light refreshments provided. Karen Johnson with Beattie, drawing out prizes! Here are some photos from the fabulous event, Countdown to Christmas, held on Friday November 14 in the beautiful courtyard of Balmain Library. It’s the first of three events to celebrate the release of Once Upon A Christmas, and attracted a big and enthusiastic crowd! Big thanks go from Christmas Press to the authors who came and read their work, and share in the celebration, and to Karen Johnson, Children’s Librarian, and her team for a fabulous time had by all! (And thanks for the yummy food and drink too). All welcome to the Sydney launch of Once Upon a Christmas! Balmain Library, Friday November 14, 6pm. 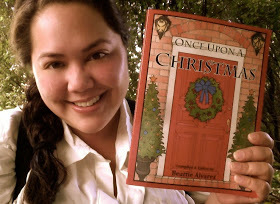 In a lovely guest post on Kids’ Book Review, Once Upon a Christmas compiler and editor Beattie Alvarez shares the joy of creating the book, and memories of Christmas past. You can find it here.